The upper reaches of the Yangtze River has continued to be dry years since 1990s, which will affect the comprehensive benefits of reservoirs and water resources allocation in the Yangtze River basin. In this study, the upper reaches of the Yangtze River were divided into five watersheds, i.e., Jinsha River, Mintuo River, Jialing River, Wu River and the mainstream watershed from Yibin to Yichang cities. The contribution rate of different watershed to the runoff in the upstream of the Yangtze River was analyzed. Two aspects including rainfall and human activities that may induce the runoff decreasing were discussed. 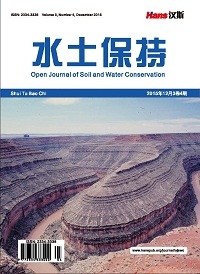 The results show that: (1) Jialing River and the mainstream watersheds are the two major contributors to the runoff decreasing for the whole upper Yangtze River during the period of 1991-2015; (2) the main reason for the dryness of the upper reaches of Yangtze River is precipitation reduction, follow by the increase of water consumption, water storage loss and evaporation augment by the reservoirs. LI, F., ZHANG, G., XU, Y. J. Separating the impacts of climate variation and human activities on runoff in the Songhua River Basin, Northeast China. Water, 2014, 6(11): 3320-3338. 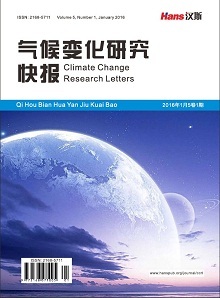 WANG, G., XIA, J., CHEN, J. Quantification of effects of climate variations and human activities on runoff by a monthly water balance model: A case study of the Chaobai River basin in northern China, Water Resource Research, 2009(45), W00A11. QIAN, W., LIN, X. Regional trends in recent precipitation indices in China. Meteorology and Atmospheric Physics, 2005, 90(3-4): 193-207. BECKER, S., GEMMER, M. and JIANG, T. Spatiotemporal analysis of precipitation trends in the Yangtze River catchment. Stochastic Environmental Research and Risk Assessment, 2006, 20(6): 435-444. SRIWONGSITANON, N., TAESOMBAT, W. Effects of land cover on runoff coefficient. Journal of Hydrology, 2011, 410(3): 226-238.